Rinse the feet in water. Put in a big pot, along with the salt, and cover with water. Bring to the boil and then down to a gentle simmer. Simmer for three hours, skimming the gunk off the top as needed. Remove the feet and let cool until you can handle them. Then remove every teeny bone you can find. Fry on both sides until they look caramel-y. 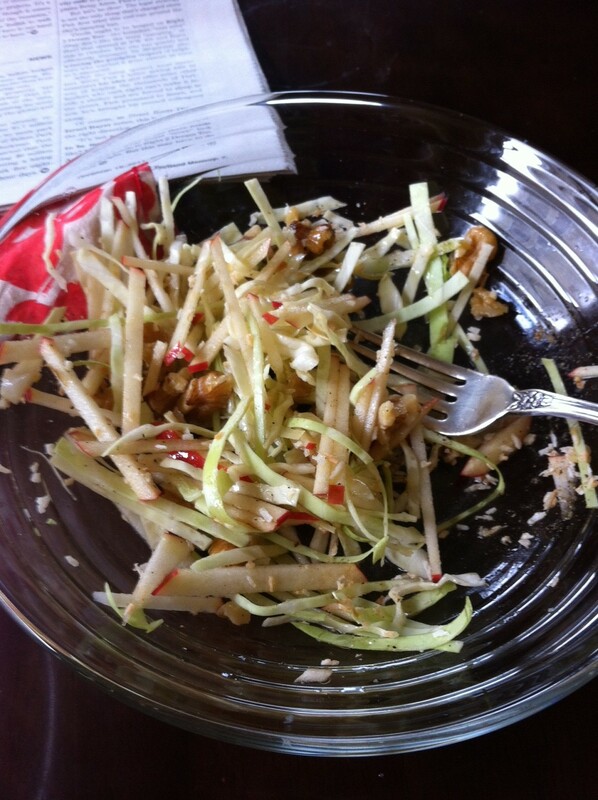 Seriously good with some kind of cold, crunchy, vinegar-y slaw. This is a nice little salad that’s refreshing in the depths of winter. It’s great with crab, and beef and pork roasts because it’s so light and sparkly against those flavors. The Man is a devotee of Lardo, one of the best food carts in Portland. They were so very generous in sharing their technique with The Man because he wanted to make me an SCD version of their amazing pork belly (they use sugar, The Man uses honey). Thank you, Lardo! This dish has been one of the highlights of the past 40 years of my life, and what I want to be embalmed in after I die. We’ve been getting ~2.5-lb pork bellies, so this recipe is for that range. Trim off the skin by running your sharp knife between the skin and the fat, pulling away the skin as you slice through. Score the fat side you just exposed in both directions about 1″ apart. Rub the belly all over with 1 T of honey and 1 T of salt for every pound of belly. 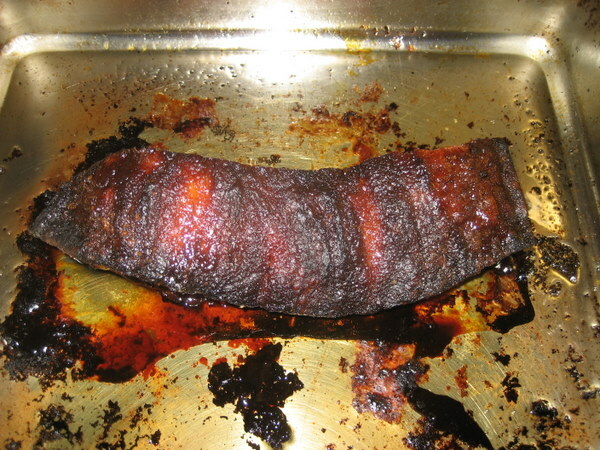 For example (for the math-o-phobes, ahem), if you have a 2.5-lb pork belly, put on 2.5 T of honey and 2.5 T of salt. Wrap it up and put it in the fridge overnight. Unwrap the belly and place it fat side up in a roasting pan. Put the pan in the oven and roast the belly at 450F for an hour. At 45 mins., you’ll likely need to lightly cover with foil to prevent the top from burning (it will be fairly dark by this point). After an hour at 450F, reduce the heat to 250F and roast for another 30 mins. Eat warm or cold. We like it sliced in 1/4″ lengths. Even better cubed and fried in pork fat and butter. Why yes, I have licked the pan. Didn’t want you cool cats to miss this piece about Portland’s food scene in Time magazine. Wowsers! People ask me why I moved to Portland. Two reasons: the food and the readers. People know how to eat and read in this town like no other US city I’ve lived in (SFO, NYC, San Diego). This is probably the best thing I’ve made in the last month. I literally licked the plate. The nice thing is the figs can be less than ripe. 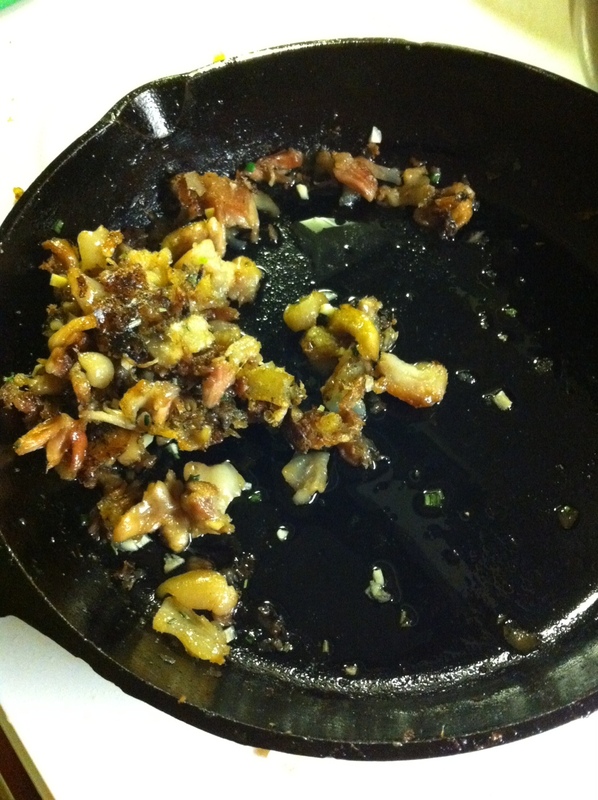 Put a tablespoon of pork fat and a tablespoon of butter in a skillet over medium-high heat. 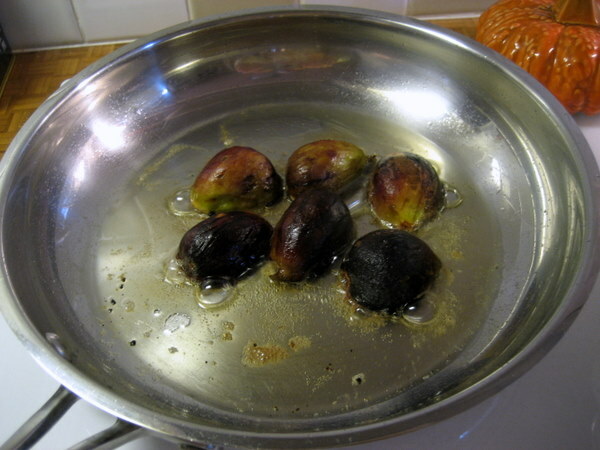 When they’ve browned, turn them over to get them all glossy with fat, then remove from heat and put on a plate. In the skillet over low heat, add a teaspoon or two of white wine vinegar and rub your wooden spoon against the bottom of the skillet to get the caramelized goodness off. Add a tablespoon of honey to the skillet and stir to combine. 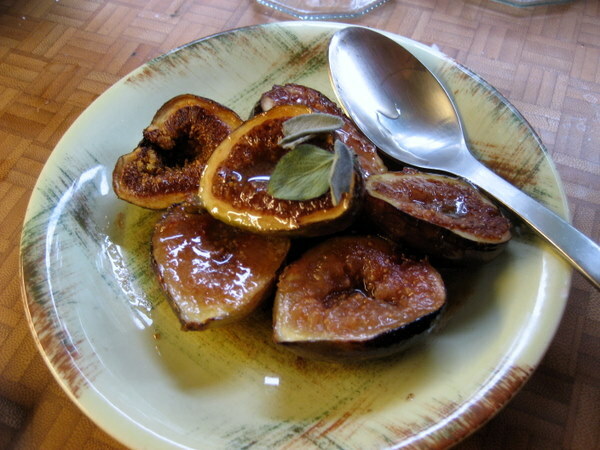 Drizzle this nectar over the figs and add a small piece of fresh sage leaf on each fig half. We went in on a share of a pig with some friends through Tails & Trotters’ “Pork Share” program. 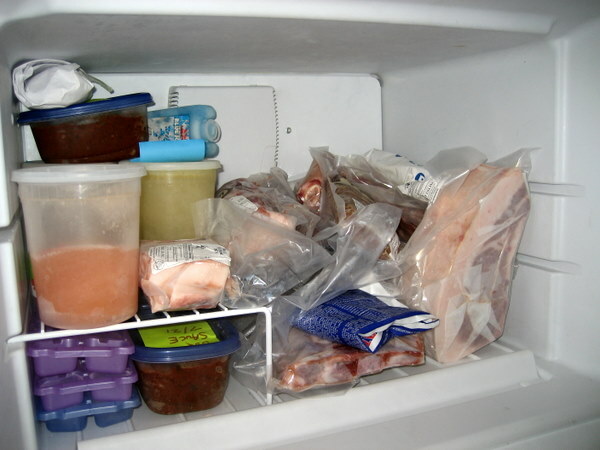 Our freezer is now full of pork. Wow. 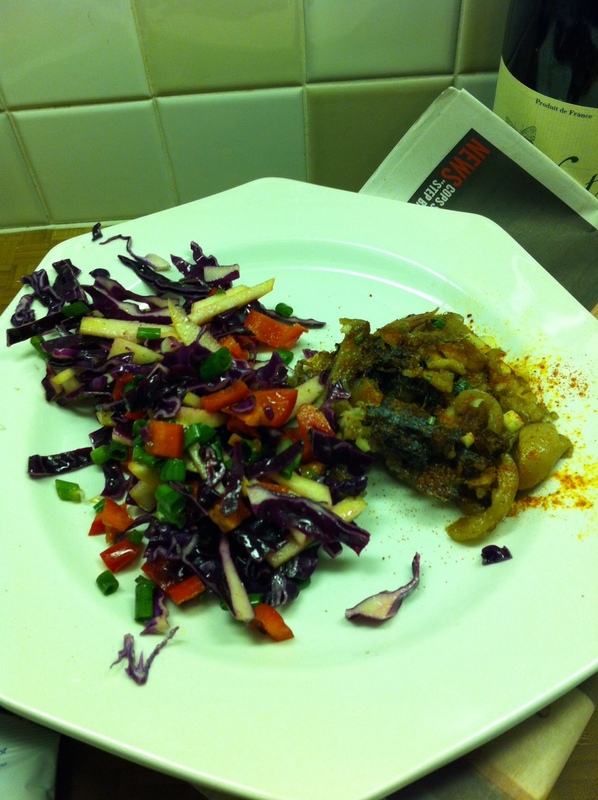 Recipes to follow!